Since last year, great changes have taken place in Hewan Village in central Yunnan’s Yiliang County. With the development of creative agriculture, Hewan has been turned from a traditional farming village into an agritourism destination. In 2017, the local township government entered into an agreement with the School of Agricultural and Biological Technology, Zhejiang University. Through this cooperation, the two parties have jointly built a creative agriculture demonstration base of 9.6 acres in the village, which are the source of the changes. 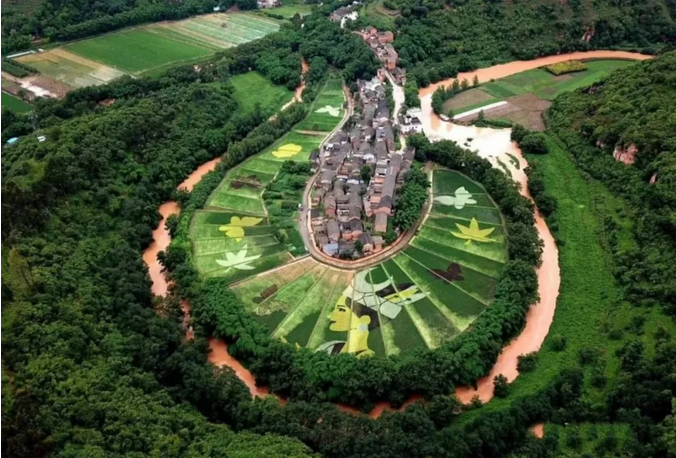 The university experts, together with local farmers, turned the rice paddies in Hewan into a “natural canvas”. In 2017, they planted colorful rice seedlings into a pattern of the head portrait of Ashima who is believed as the Goddess of Yi people. This made Hewan rise into fame and its photos went viral on the internet. 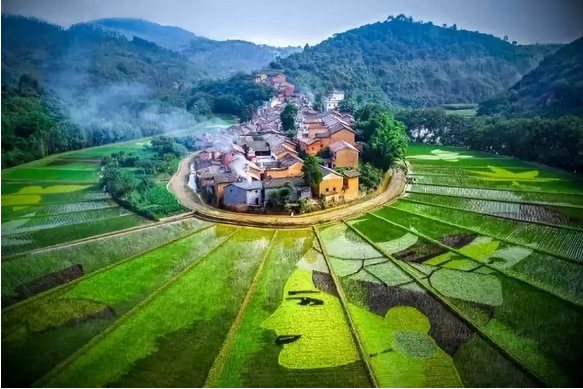 This year, the experts “drew” the photo of Miao people’s god of beauty in the fields by planting red, yellow, purple, black and white rice seedlings, adding more impetus into local agritourism development. 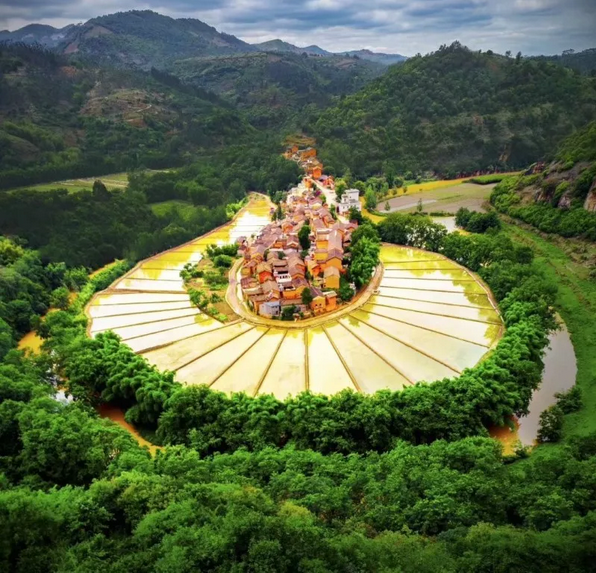 From a bird’s eye view, the colorful rice paddies, nearby flowering lotus pond, the pastoral village, the bending river and the surrounding mountains constitute a scroll of magnificent painting, each bringing out its best and complementing the other.